Stopping smoking is often quoted as being harder than breaking heroin addiction. This course will help you as a practitioner, understand the ‘type of smoker’ you are dealing with and the correct procedures to follow to deal with their addiction. The course provides templates of record sheets for use with the client, as well as script writing help for both therapy and post-hypnosis treatments. Be one of the therapists that get it right and make sure your clients give up successfully. The course works as a ‘habit control system’. 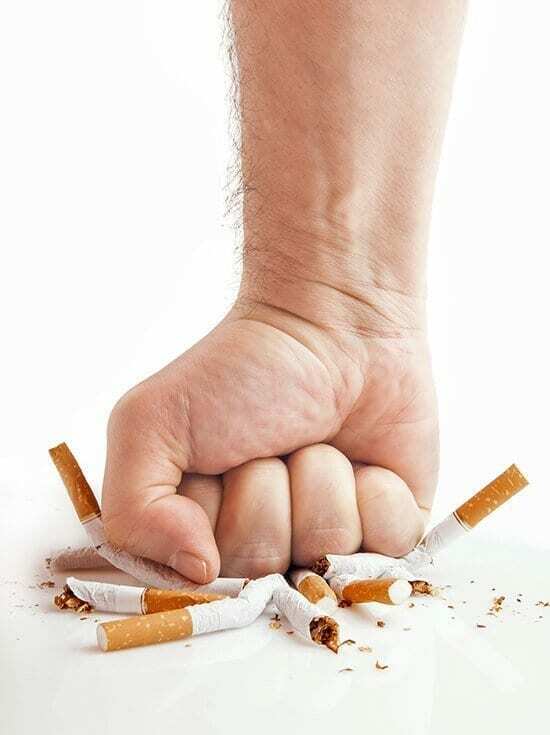 It will work with Smoking, Nail Biting and many other habits which are difficult to break. For students wishing to enrol on this course, you must have a Diploma level qualification in Hypnotherapy (you must be trained to induce the hypnotic state with clients before enrolling in this course). Students who have achieved this qualification from training establishments, other than the School of Natural Health Sciences, are very welcome to enrol on this course. This is seen as an ‘additional course’ to other therapy training and is provided to broaden the knowledge and increase awareness of the treatment of smokers for all therapists and holistic practitioners. • Identifying the Type of Habit!